When your cat goes missing, chances are it's just chilling in a cozy spot under the couch, or maybe even hiding from you. So it's okay to not freak out just yet. Cats love to hide as if they're spiders, and even their hiding spots are similar. You can find them in corners, on the refrigerator, and according to my roommate, even the dryer hose is fair game. 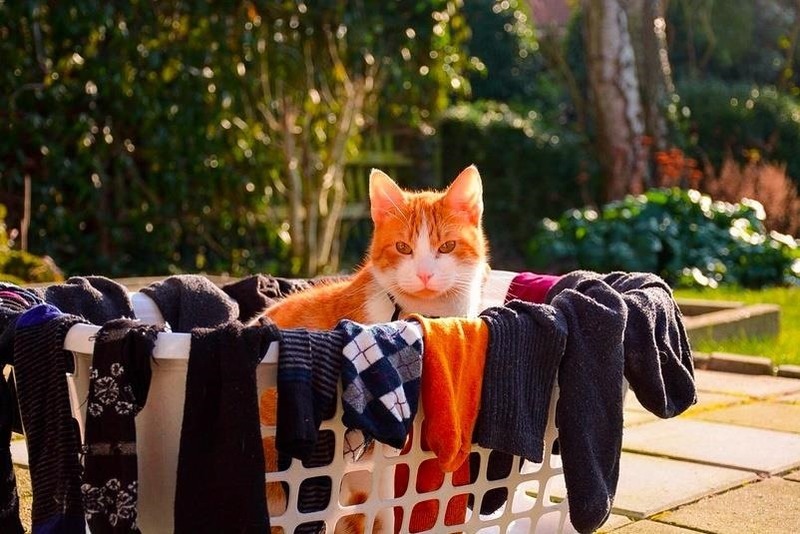 So when it seems as if your fuzzy friend has run away, before venturing out of your home, look in places you'd never guess, like your sock drawer, or even under your sock drawer. Once you do go outside, look in or by your garage, in bushes, and all around the perimeter of your house. To find a cat, you've got to think like a cat. If you still can't find your cat after looking in all the nooks and crannies in your home or apartment, it's okay to start worrying—but know that it's likely you'll find him or her soon enough. To help it be sooner rather than later, follow the tips below. To get your kitty's attention, try making "dinner" noises. Whatever you usually do to get your cat's attention for dinner, make those noises. For example, shake the bag of dry food, open up a few cans of wet, open and close the cabinets where the cat food is stored, etc. Like today's youth, cats will appear with the promise of a full belly. If you can't think of any particular noises to make, bring out its most valued toy and start playing with it like he or she was there. If your cat is nearby, it will appear—trust me. If this didn't work, try it outside near your home—just know that you might attract a few more furry critters in the process. Even though your cat is nowhere to be to be found, your kitty does love you. By leaving your scent around the area of your house outside, you might be able to attract it back home. Take an unwashed piece of clothing and leave it in your front or backyard. Your soiled pit stains could be gold to your cat. In fact, I often come home from the office to see that my cats have forcibly taken my towel off its rack and made a bed of it. There's definitely something comforting about it, and you can bet they can catch the scent from a distance. Just make sure you clean the piece of clothing afterwards. No one else wants to smell your pheromones. 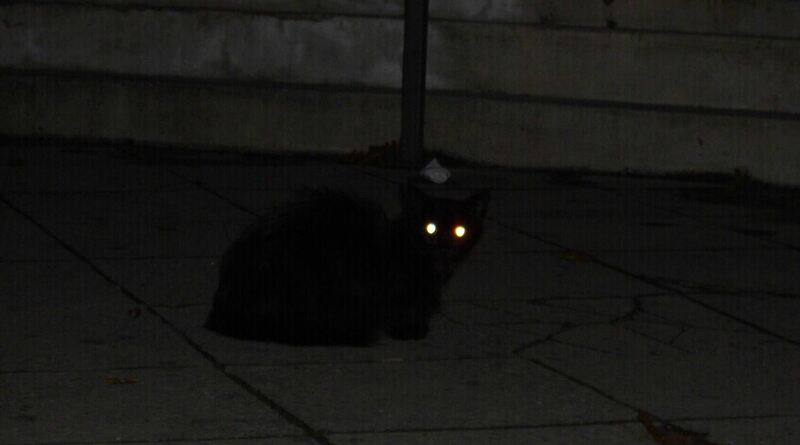 You can find your cat simply by looking for their eyes, so when you go out to look, do so during the nighttime hours when it's quiet and not busy. Not only will it help you hear your kitty better, you can also look for the reflection of its eyes. All you need is to direct a flashlight in any hiding places that surround your neighborhood. 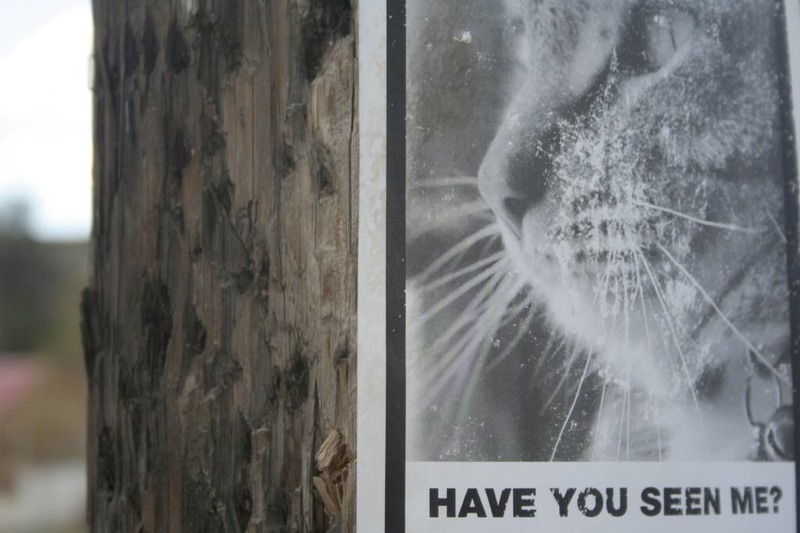 The reflection off their eyes will give them away every time, though, if you have a neighborhood full of strays and feral cats, you might get a lot of false positives. 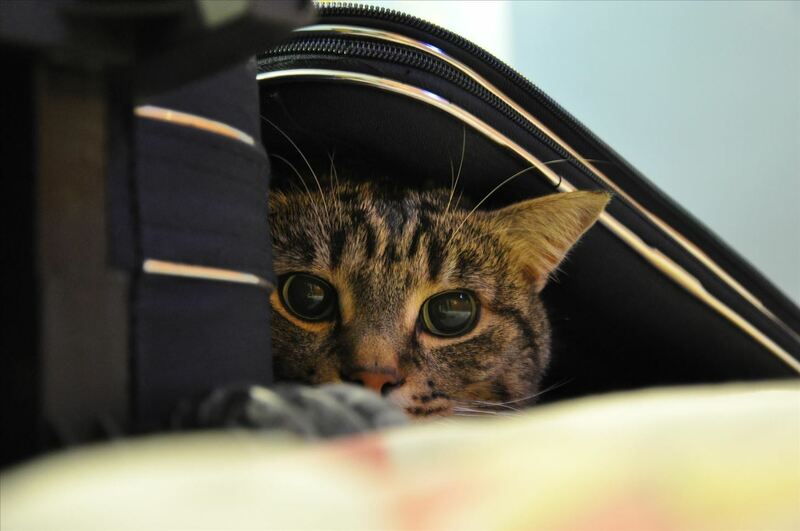 One thing to keep in mind is that your feline bestie just wants to be in a safe place. Keep a crate by your front door and cover it in a blanket. After that, put a trail of food leading to the crate with a bowl of his or her favorite snack inside. These creature-comfort amenities should attract your cat enough to keep it there for a while. Once you remind your cat of the safety of home sweet home, it won't want to go anywhere else! Note that like in Tip #1 above, this can attract other local stray and feral cats, so if that happens, their scent could scare your kitty from coming back, so remove the cage and go to the next tip. If your indoor cat is indeed not inside your home, and you couldn't find him or her using the tips above or by calling its name—and it's been longer than a day (most cats stick close to home for at least a day before venturing out wider)—it's time to get crazy. Even if it hasn't been a day, and you've search all around your property, and at least 5 houses down in both directions, you should start spreading the word. To help spread the word for your missing cat even more, post pictures and a good description of your pet to the lost+found section on Craiglist, and post to your Nextdoor community, if one is available in your area. Call local shelters and rescues to see if they've had any newbies, and let them know to be on the lookout for your pet. The best way to find a lost cat is to take preventive measures. 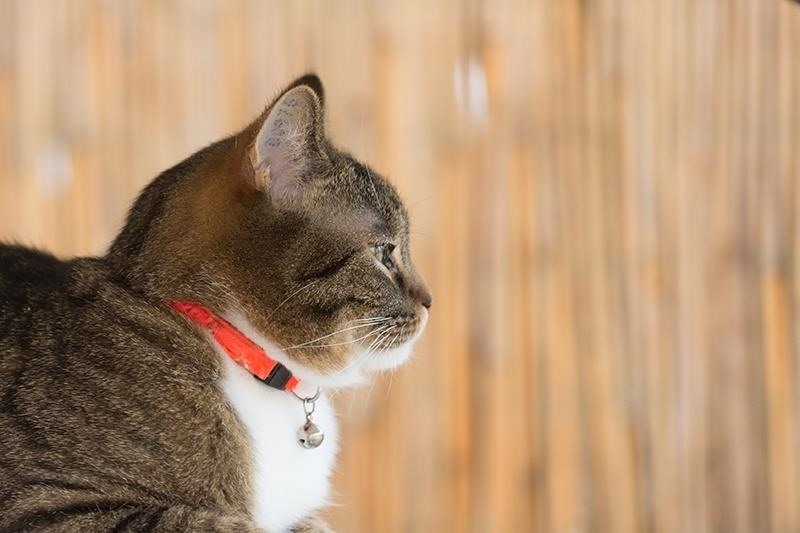 You can either microchip your cat or put a GPS tracker sticker on their collar. You can also try an orange collar as suggested by The Kitty Convict Project, which aims to make it easier for others to identify lost cats. Since many owners allow their felines outdoor privileges, passersby may not recognize that a cat wandering down the street in actually lost. And it never hurts to put their name and address on the collar either. 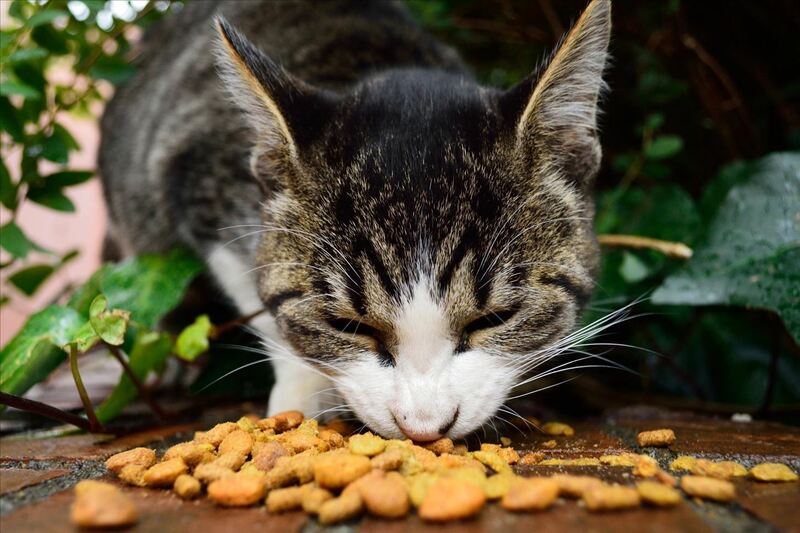 Another thing you can do is leave food in hiding places around the outside of your house so if they do get out, you'll know where to check first. You can even print flyers in advance, so you can put them up immediately, as time is of the essence when trying to find your precious pet.